Eric Moulton – Eric has been involved with the Water and Wastewater industry for over 3 years in both Sales and Service. He holds his OIT’s in Water Treatment and Distribution as well as Wastewater Treatment and Collection. Eric has been with Emco Waterworks since March 5th, 2012 in that time he has enthusiastically expanded his role within the company. 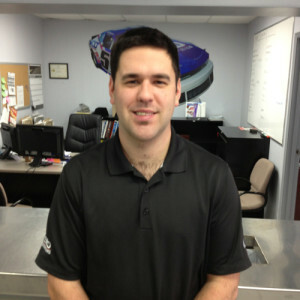 Eric is responsible for all operations, order entry, purchasing, shipping and receiving. This wide range of responsibilities allows him exposure and knowledge of all products, orders and projects the Profit Center is involved in which in turn allows him to better serve his customers. Outside of the Profit Center Eric serves as the Regional Health and Safety representative for Emco Waterworks in Southwestern Ontario and is also actively involved on the Young Professional’s Committee of the Ontario Water Works Association. Kevin Honrath – Kevin started his 23 year career in waterworks with Canada Valve in Burlington in 1990 as Warehouseman, moving briefly to Canada Pipe, then McKeough Supply. He was sought after to join Ontario Water Products when it started up in Stoney Creek in 1995. His 20 years of industry experience grew with OWP as he worked his way through the branch positions of Driver, Warehouseman, Inside Sales, and Outside Sales. After OWP merged with Corix Waterproducts he accepted the role of Branch Manager in Milton managing a team of up to 3 outside salesmen, 2 inside salesmen, 2 warehouse and drivers, not to mention oversight of a HDPE department. 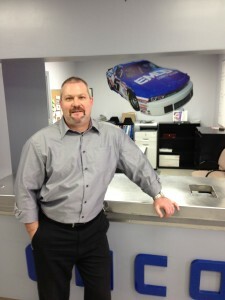 After he realized his passion for the customer, he joined the Emco team in 2010 as Outside Account Manager in Hamilton and is committed to being the #1 distributor of choice by creating a service-focused solution with a diverse range of products.